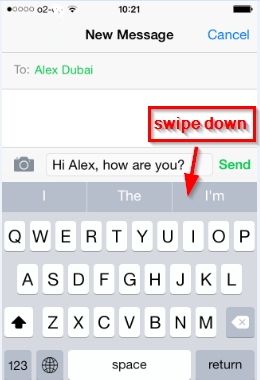 How to hide QuickType suggestions / QuickType keyboard on iOS 8? 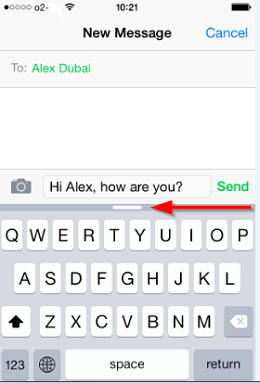 How to remove auto suggest on iOS 8? Devices with iOS 8: iPhone 6, 6 Plus, 5s, 5, 4s, iPad, iPod touch. Swipe down on the new gray bar to hide QuickType. This page was last modified on 19 September 2014, at 20:48.